A worn down woman who long gave up on her hopes and dreams, and a young man who knows how to love despite the odds. A real and tender love film, far from glamourous. A unique cinema experience with amazing African music that brought director Alain Gomis a Silver Bear at the 2017 Berlinale! 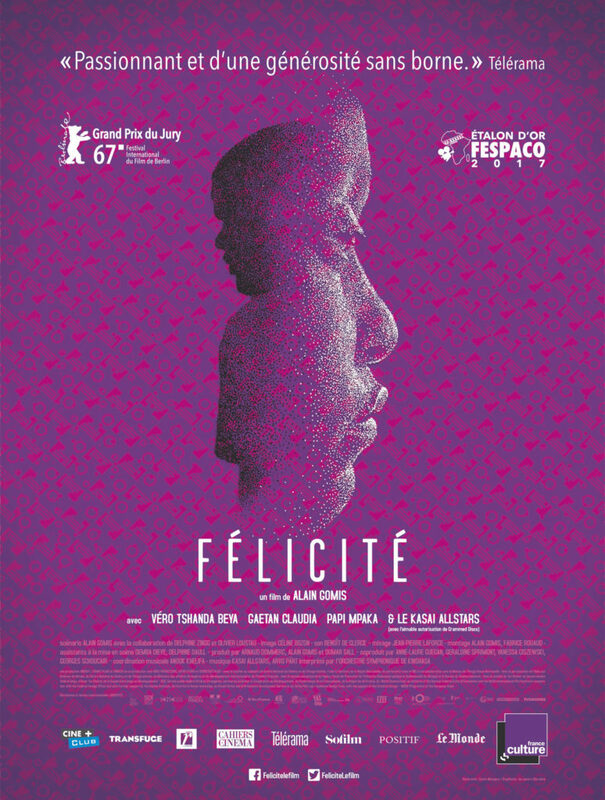 A bar singer in Congo paid to entertain even on her worst day, a single mother who has to take care of her son on her own, a strong woman who has learned not to expect much from life… That is Felicite. A life in the slums of Congo, far from dreams and romance. Another night spent singing with her amazing voice, Felicite comes home alone to find that her son has been in an accident and will lose his leg. Incapable of asking for help or sharing her pain, the only person at her side is Tabu, a man who made his way into her life without Felicite even noticing. Tabu is just like her, alone and full of love, and is always there for her even when she doesn’t want him there. As days go by, his presence will be a vital part of Felicite’s life. Because no matter who you are, life is full of beauty.